If you have a Windows 7 or 8 PC on July 29th, you will be able to upgrade to Windows 10 for free. This free license will only be offered for one year, but what happens if you need to reinstall your OS? The good news is that the license Microsoft is providing will allow you to clean install Windows 10 on the same device at any time. Microsoft is moving aggressively with Windows 10 by prompting Windows 7 and 8 users on their desktop with a free upgrade offer. The company is targeting to have one billion installs of the OS in the next 2-3 years, which means that they have to get users to upgrade quickly if they are going to meet this goal. 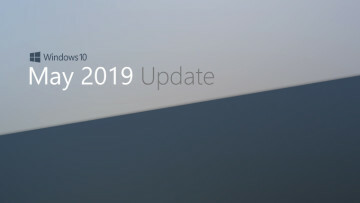 The flexibility of the upgrade license will likely put to rest concern that some users were having as they were expecting to have to install Windows 7/8 and then upgrade with the free key that Microsoft is providing if they needed to wipe their machine.